Send us your best images showing you, your family, friends and neighbours playing sport somewhere unusual, poetic, fun, fantastic, acrobatic, etc. You decide which! Everyone is familiar with the images of sport practised at official competition venues, whether at the Olympic Games or World Championships. You see them all the time, everywhere. But what about the sport played elsewhere, near where you live? Gardens, parks, bedrooms, yards, beaches, picnic areas, carparks, bus shelters, staircases, railway stations? What does that look like? What could it look like? With this competition, The Olympic Museum is seeking to give visibility to that kind of sport, bringing together thousands of images from the general public all over the world, to show that sport is everywhere, all the time, and in all kinds of forms. We can’t wait to see the photos you post and how you vote for other people’s. Be creative. 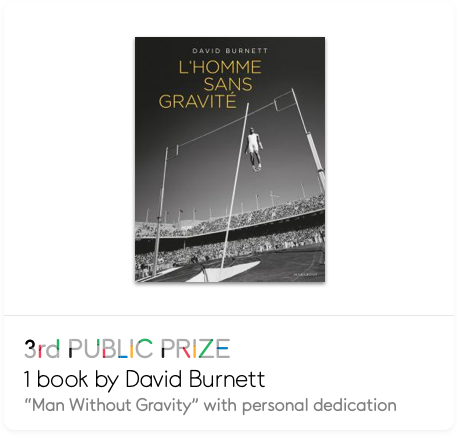 Try to produce THE photo that will win you a prize and get your image displayed at The Olympic Museum! Photographers, it's your turn now! They are the standard-bearers of the competition. From its launch and until the end, they will promote the competition to as many people as possible, by disseminating the information and your images among their social network communities. They are our biggest fans! They are your greatest fans! 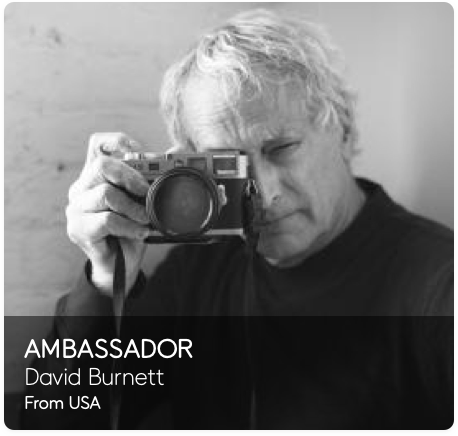 David Burnett is a photojournalist with more than 5 decades of work covering the news, the people, and visual tempo of our age. He is co-founder of Contact Press Images, the New York based photojournalism agency, now entering its 40th year. In a recent issue of American Photo magazine, Burnett was named one of the "100 Most Important People in Photography." In July 2011, David worked with Photographers for Hope to create a workshop for homeless news vendors in Glasgow, Scotland. Their work a really wonderful show of what photography can do, when there is motivation. He is also collaborating with the group "Facing Change - Documenting America" which is trying to recreate a modern version of the FSA, and take a serious look at the issues facing the country during these turbulent economic times. Reporters Without Borders has just published "100 Photos for Freedom of the Press" featuring a whole career's worth of David's work. Timea Bacsinszky is a Swiss professional tennis player of Hungarian descent. She was born in Lausanne on 8 June 1989. Timea’s career began at a very early age; she held a racket for the first time when she was 3 years old. As a junior player, she won the Petits As tournament twice, in 2002 and 2003. In 2004, she reached the semi-finals of both the Australian Open and Roland Garros junior championships. Timea won her first WTA tournament in Luxembourg on 25 October 2009. Her highest WTA ranking at that time was 37. Injuries led Timea to consider ending her tennis career to pursue her studies at the hotel management school in Geneva, but in 2013 she embarked on a “second career” after competing in the qualifying rounds at Roland Garros. In 2015, Timea won two more WTA tournaments (Acapulco and Monterrey), reached the semi-finals at Roland Garros and the quarter-finals at Wimbledon. She climbed into the top 10 of the WTA world rankings. In 2016, Timea won the WTA title in Rabat. Alongside Martina Hingis, she took the silver medal in the doubles tournament at the Olympic Games in Rio. That year, Timea rose to 9th in the WTA ranking, her highest position to date. Timea is also a UNAIDS Global Advocate for Young People. Timea’s life philosophy is to constantly seek to push herself further. You can follow Timea on Instagram @timea.official and on her website www.timea-b.com. 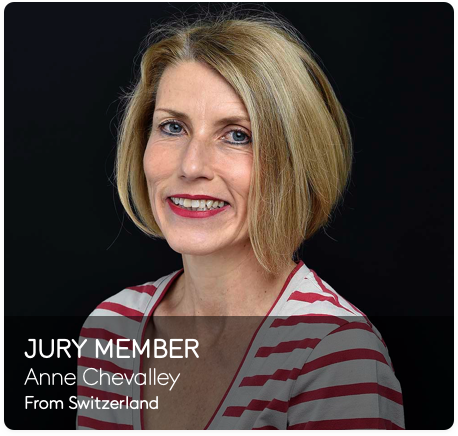 Anne Chevalley - From Switzerland. Born in 1963 and a graduate of the University of Lausanne (BA, History of Art), she has been in charge of The Olympic Museum’s programs since January 2014, having been head of the institution’s Educational and Cultural Services for over 20 years. She has spearheaded a significant number of projects designed to explore the various facets of sport – and its links with human and social sciences, art, and culture – through exhibitions, workshops and publications. Skilled in many different fields, Anne likes to break down barriers and seek common ground between the most varied of viewpoints. 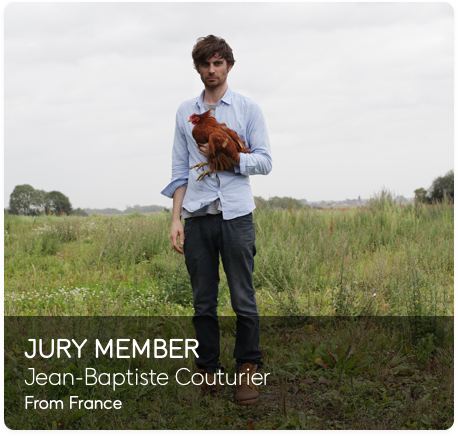 Jean-Baptiste Courtier - From France. Photographer originally from a small town in the north of France, who is now living and working between London & Paris. Well known for his project ‘Natation Synchronisée’, a photo story depicting scenes of what we initially understand as synchronized swimmers in unexpected serene landscapes, Jean-Baptiste has since continued to create a fantasy that sits between the imaginary and real world. He populates each image with objects or acts which disrupt the normal order, transforming what we first see as an everyday scenario into something more seductive. Li Wei - From China. Chinese contemporary photographer and artist, born in an agricultural family and originating in the province of Hubei. He studied in Beijing. He later taught photography and video until 1997, when he began his performances. His favorite themes highlighted in his photographs, where he is himself staged, are the gravity and the levitation expressing for him the freedom. His photographs can be funny as shocking, disconcerting. As a committed artist, he also wants to bring his photographs to reflect on the world and his country of origin, China. coming together to choose the best photos from 11 July. The final will see three winners stepping up to the podium! What could be better than winning a camera as the prize in a photo competition? It’s better than a medal, as this prize can help you further develop your passion and photographic creativity. The other prizes aren’t too bad either! There will be a prize for the photo with the most likes on Instagram. Announcement of the Public Award results. Announcement of the 3 winners of the jury prize. Announcement of the results of the prize of the most shared photograph on Twitter and the most liked image on Instagram. Special “Sports Photography” weekend at The Olympic Museum. David Brock (FRA), David Burnett (USA), Bob Martin (ANG), Yonathan Kellerman (FRA), Gérard Uféras (FRA). Here are the key dates of the competition to put in your diary. The Olympic Museum does not just house collections; it houses an idea: Olympism. It seeks to present the Olympic Movement, to showcase its contribution to society and to promote the Olympic values beyond the staging of the Games and sports competitions. The Museum’s programs focus on exploring sport’s links to history, society, art and culture, and science and technology, reflecting the full richness and diversity of Olympism. This competition invites people from all over the world to find, and photograph, examples of sports being played away from official structures, in order to demonstrate the extraordinary presence of sport in the most diverse of environments. The photos which are submitted will boost the profile of DIY sports venues, which exist side by side with large, established venues. 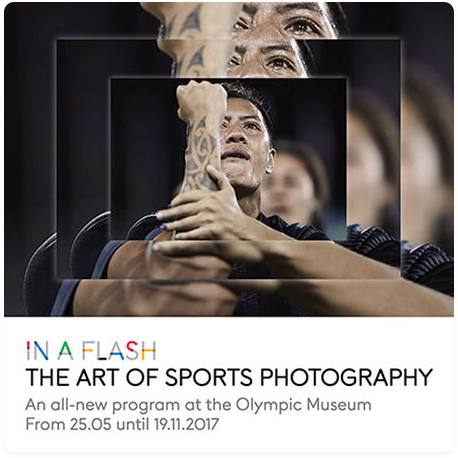 This online photo competition reflects The Olympic Museum’s ambition to be an international multimedia platform and a cultural voice which fosters the Olympic ideal. The competition is part of the Museum’s “The Art of Sports Photography” program, which is being held in Lausanne and online from 25 May to 19 November 2017. The “My DIY sport venue” competition is organized by the Olympic Museum and Wipplay.com. Wipplay.com brings to life the improvised work of talented, amateur photographers. A photography contest is launched every week via the web platform giving contestants the opportunity to display their talented works. Participations is opened to all: beginners, confirmed and professionals. 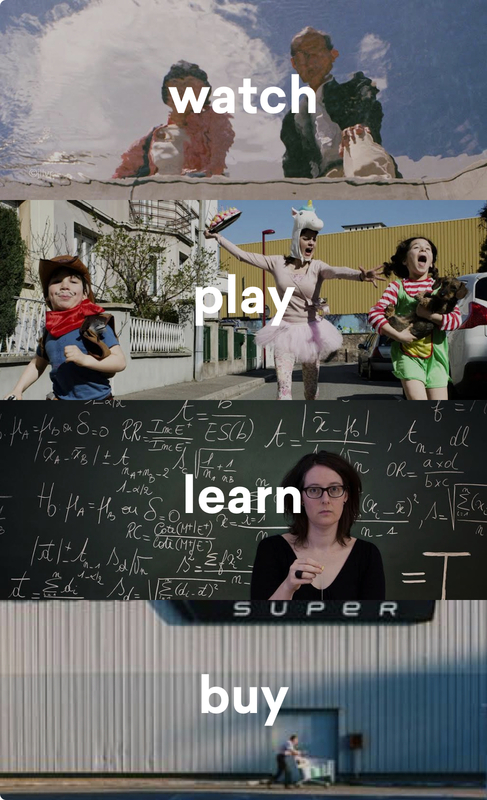 Wipplay commits itself to surprising and inspiring its community with original contest themes. Thanks to its extensive network, the Wipplay team nurtures the creativity of its 40,000 member community and highlights the work of up-and-coming photographers every day. Popular photography finds its true meaning at Wipplay.com.